A bad witch's blog: I Got Tickets for the London Harry Potter Exhibition! I Got Tickets for the London Harry Potter Exhibition! I've booked tickets for the very first day of an exhibition at the British Library this autumn called Harry Potter and the History of Magic and I am really looking forward to it. Marking the twentieth anniversary of the publication of Harry Potter and the Philosopher’s Stone, the exhibition will open on 20 October 2017 and run until 28 February 2018. 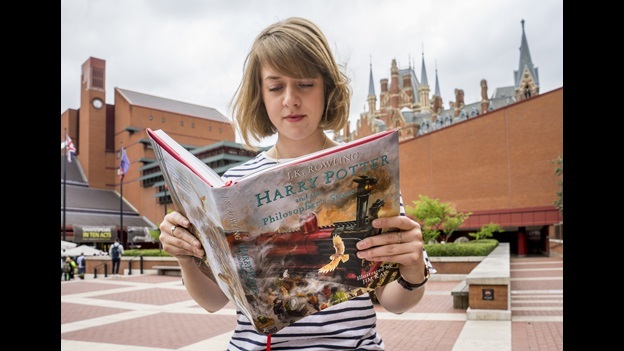 Seeing as it is on at the British Library, the focus of the exhibition is books - but not simply rare copies of the JK Rowling fiction. It is actually a history of magic using historic books, manuscripts and objects, and combining centuries-old British Library treasures with original material from Bloomsbury’s and J.K. Rowling’s archives. It includes illustrated scrolls showing the true origins of alchemy and the Philosopher's stone, bestiaries detailing what our ancestors believed about the phoenix, ancient grimoires and other handbooks of spells and drawings of magical plants including the mandrake. 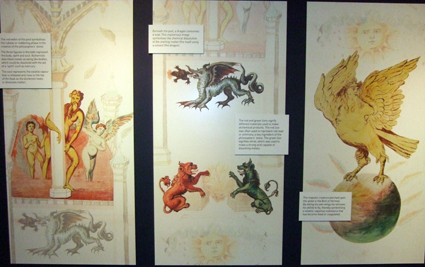 You can read a fascinating article by the exhibition curator on the British Library website, called Harry Potter: A brief history of magic, which gives more details. The photo at the top shows a facsimile of an alchemical manuscript, the Ripley Scroll, which I photographed at the Science Museum a few years ago, the middle picture shows a book cover and the picture at the bottom is is a PR photo copyright Tony Antoniou.